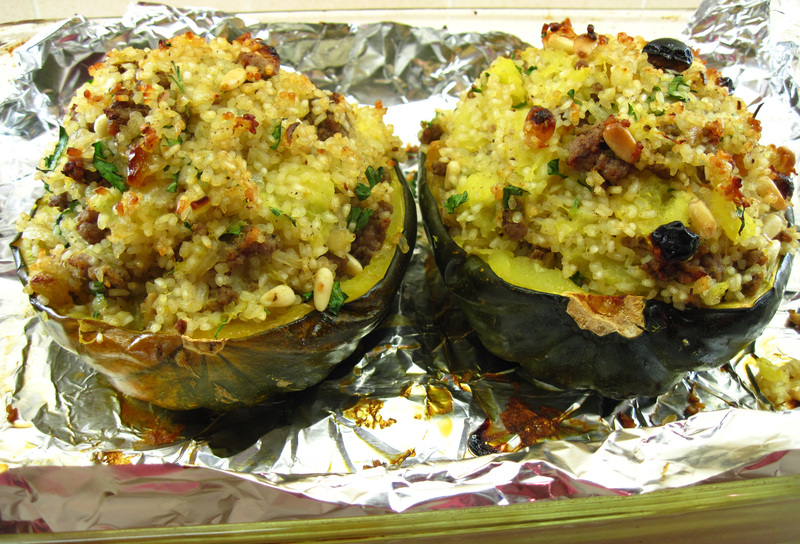 Bob and I both declared Moroccan-Style Stuffed Acorn Squashes to be “blog-worthy”! It has been a while since I last shared a recipe, but I’ve been kind of busy lately. 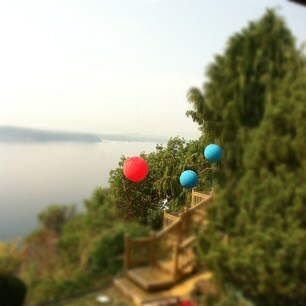 On September 22 we had a wedding in our backyard! And I did none of the cooking. We raised glasses of champagne and sparkling cider in our backyard following the ceremony and then headed to FareStart for a fabulous celebration full of great food and dancing. I’ve done a bit of cooking in the last couple of weeks, but nothing that was “blog-worthy” until last night. Our neighbor gave us a large acorn squash from his family’s garden. I did an Internet search to find something interesting to do with it and discovered Moroccan-Style Stuffed Acorn Squashes on The Bitten Word blog. The authors of the blog, Zach and Clay, found the recipe in the October 2009 issue of Martha Stewart Living. The original recipe uses two 1-pound squashes for 4 servings. 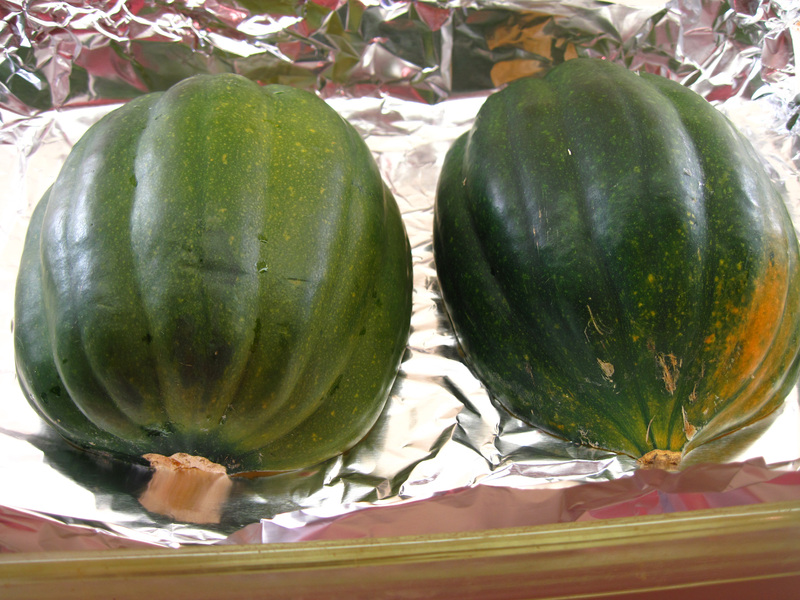 My single squash was 2 pounds, so it made two huge stuffed squash halves. I cut each one in half for 4 servings. For a prettier presentation, I would use two smaller squashes instead of one huge one. Bulgur wheat is used in the original recipe, but I decided to make a wheat-free version. I chose broken rice and we liked it in this dish; its texture is almost like couscous. You could really use any grain you like, although you may have to adjust the amount of water. Bulgur wheat would have required 2 cups of water; the broken rice needed only 1¼ cups of water. I also used ground lamb instead of the original’s ground chuck and we thought the lamb was a great match with the seasonings. 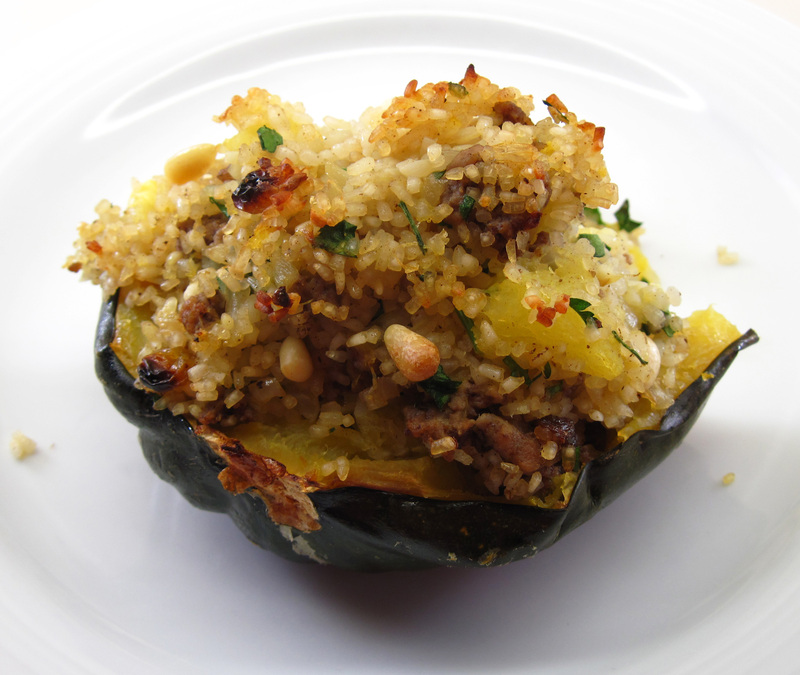 On their blog post Zach and Clay summed up Moroccan-Style Stuffed Acorn Squashes well: “Mmmmmmmmmm”. That was our reaction, too. The seasonings were perfect, and the sweet raisins and crunchy pine nuts added just enough contrast. I thought Martha’s idea to scoop the cooked squash out of the shells and stir it into the stuffing before baking was genius! It was so much better than just piling the stuffing into the cooked squash. Whether you use bulgur or rice, beef or lamb, I think you’ll enjoy this one! 2. 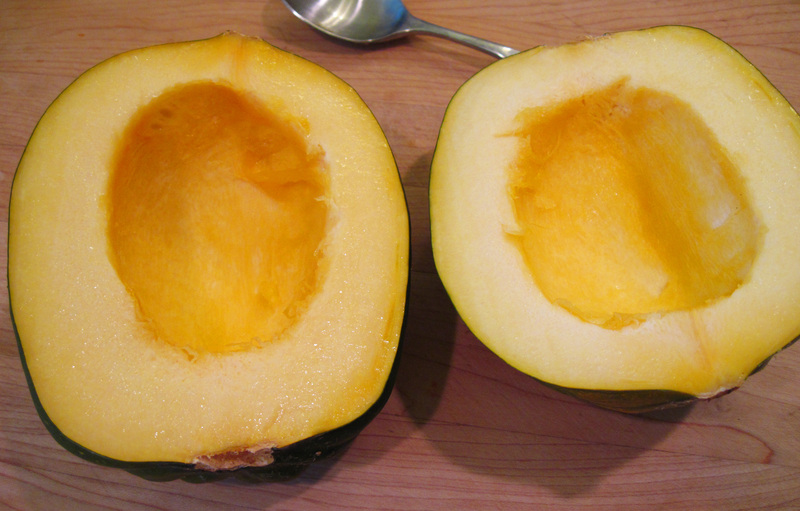 Cut the squash in half and scoop out the seeds. 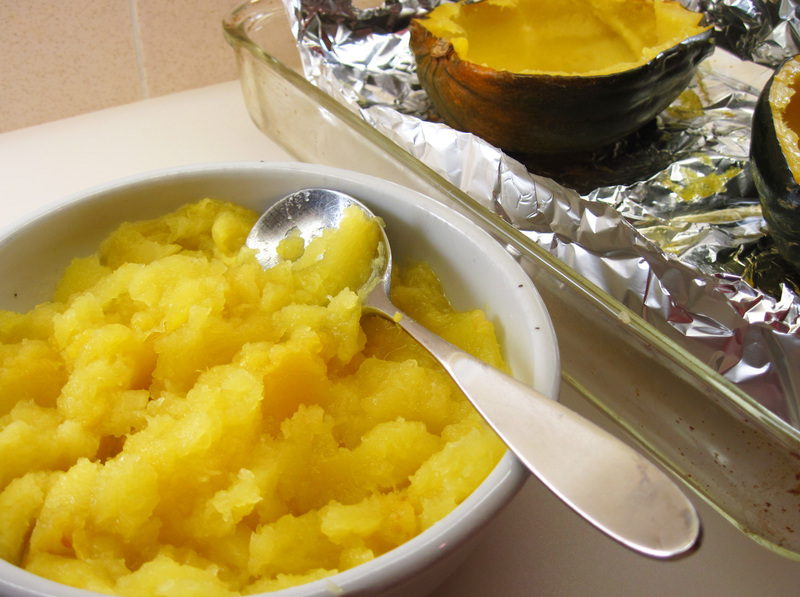 Put the squash cut-side down in a baking dish and bake until done, 35 – 40 minutes. 3. Heat the oil in a large skillet over medium heat. 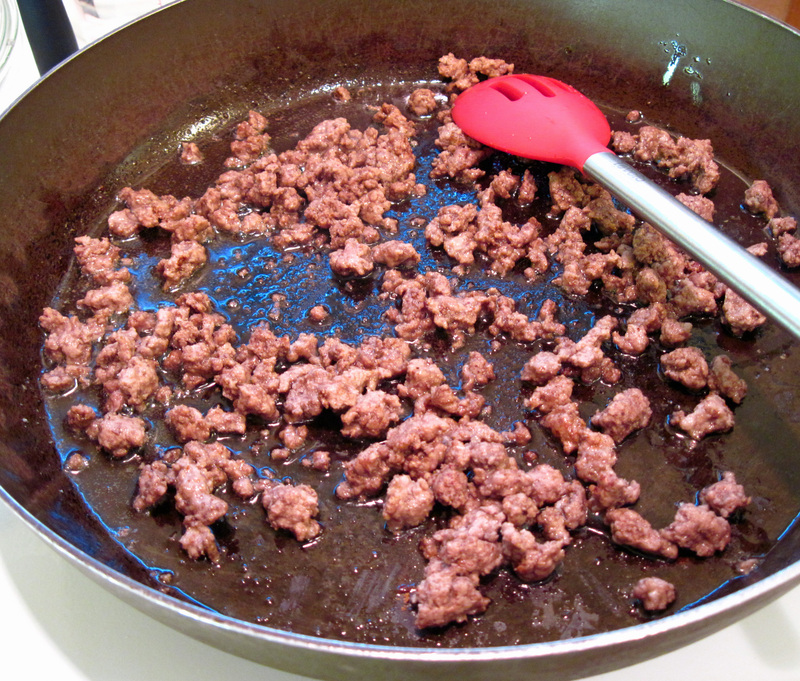 Cook the ground lamb with the cinnamon, nutmeg, and 1 teaspoon of salt until it is done. Remove the lamb with a slotted spoon, leaving the cooking liquid in the pan. Set the lamb aside. 4. Add the onion to the pan, and cook until it is beginning to get tender, about 5 minutes. 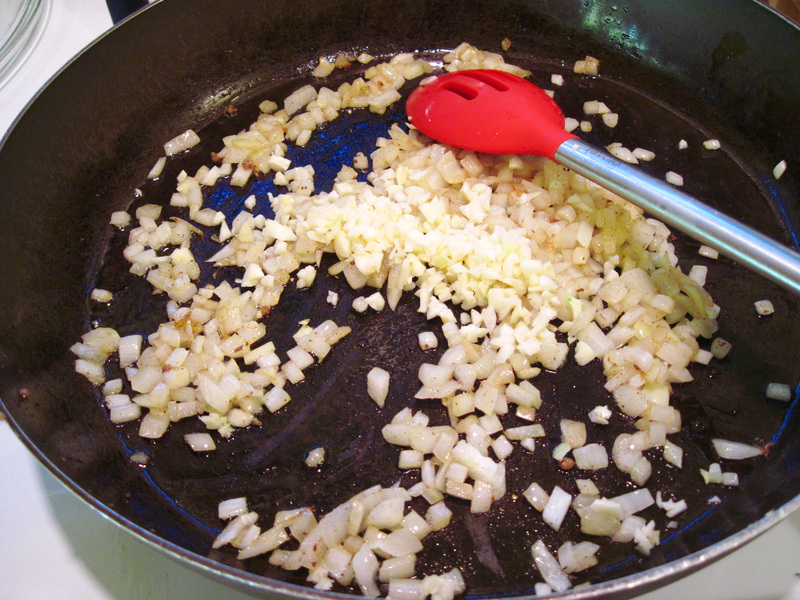 Add the garlic; cook, stirring, for about 30 seconds. 5. 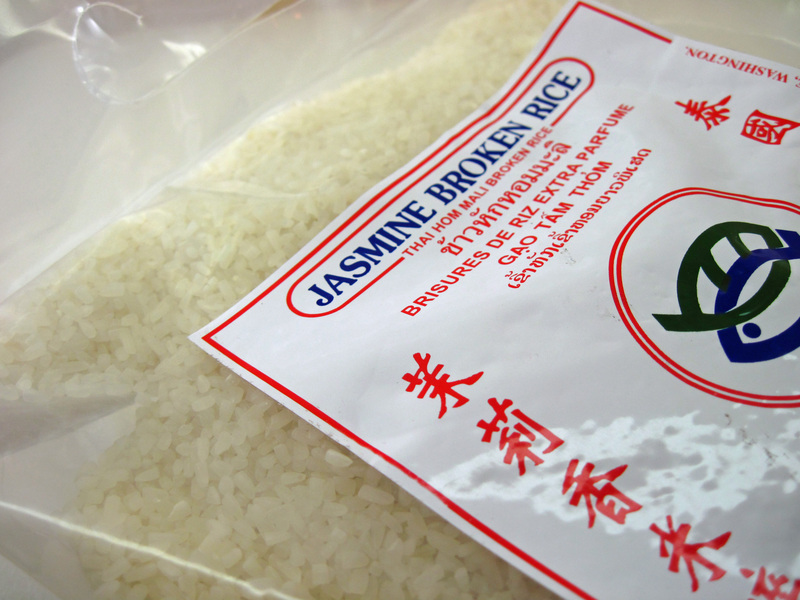 Put the broken rice in a fine-mesh strainer and rinse it well. Add the rice, the remaining 1 teaspoon of salt, and the water to the pan. Stir, cover, and reduce the heat to medium-low. Cook until the rice is done, about 15 minutes. Remove the covered pan from the burner and let it sit for 5 minutes. 6. Stir the lamb, raisins, parsley and pine nuts into the broken rice. 7. Scoop the cooked squash out of the shells. 8. Break the squash up with a spoon into smaller pieces and stir it into the lamb mixture. I cut each of these in half for 4 servings. Oh, that looks SO GOOD! Can’t wait to try it. Congratulations to your daughter and new son-in-law. Looks like a beautiful wedding. Hi there. This week’s Food on Friday is all about lamb! So it would be great if you linked this in. This is the link . Have a good week. Thank you for inviting me, Carole! What a beautiful wedding! 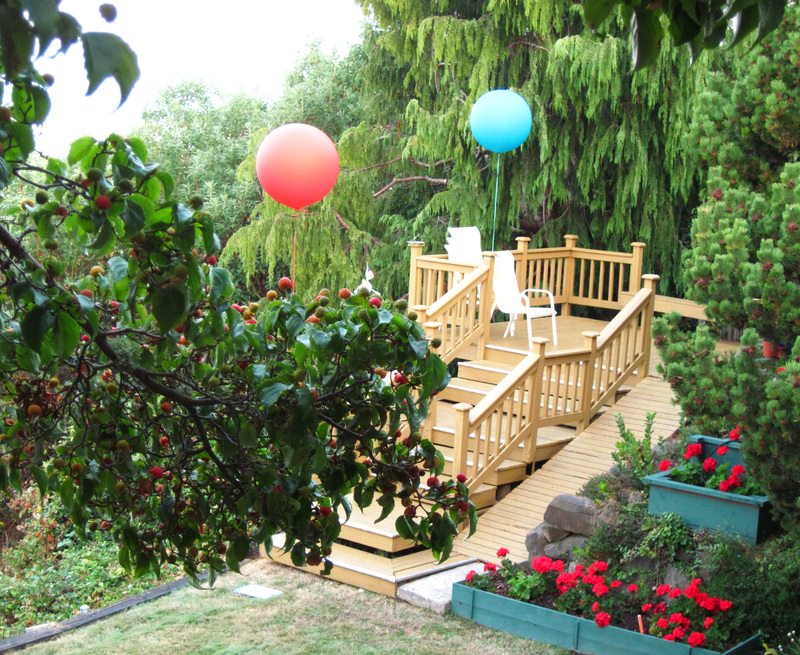 You have a gorgeous yard. And I agree that your squash definitely looks blog-worthy. 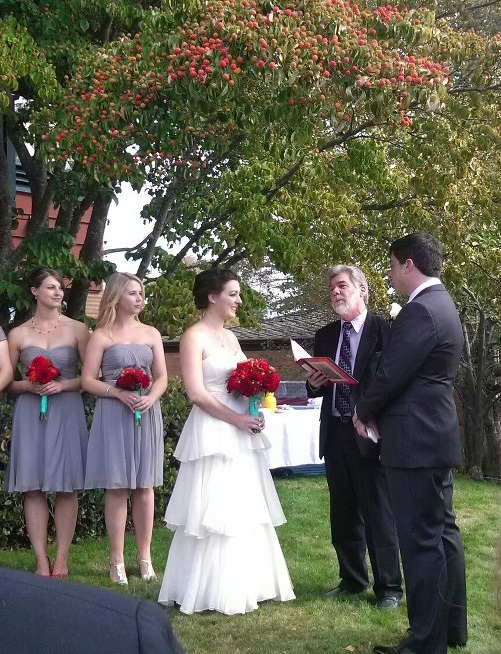 Most certainly blog-worthy…and what a beautiful wedding! Thank you for sharing with me. The post, the pictures, and the recipe were the perfect antidote to a long afternoon. I hope you have a great week! Thank you, Ben! 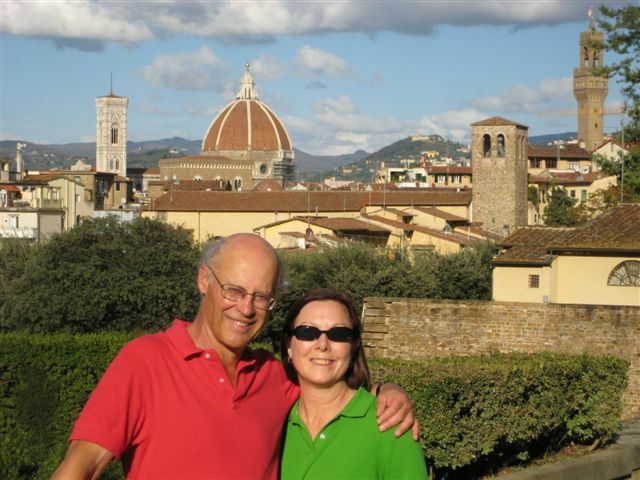 We had a wonderful trip to Mexico 5 years ago that included a few days in Mexico City. 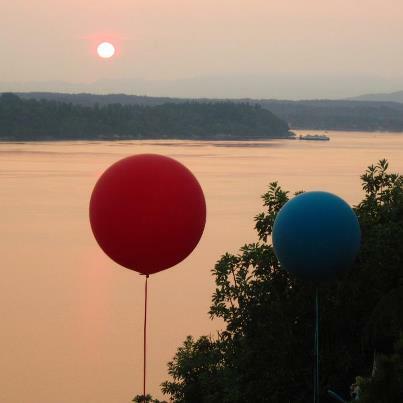 Your gorgeous photos bring back a lot of memories and I was so glad to see your post today! Congrats on your daughter’s wedding! This does look like a great recipe and easy to make for a weeknight’s supper. I love the spices, raisins, and pine nuts with the lamb. Perfect.